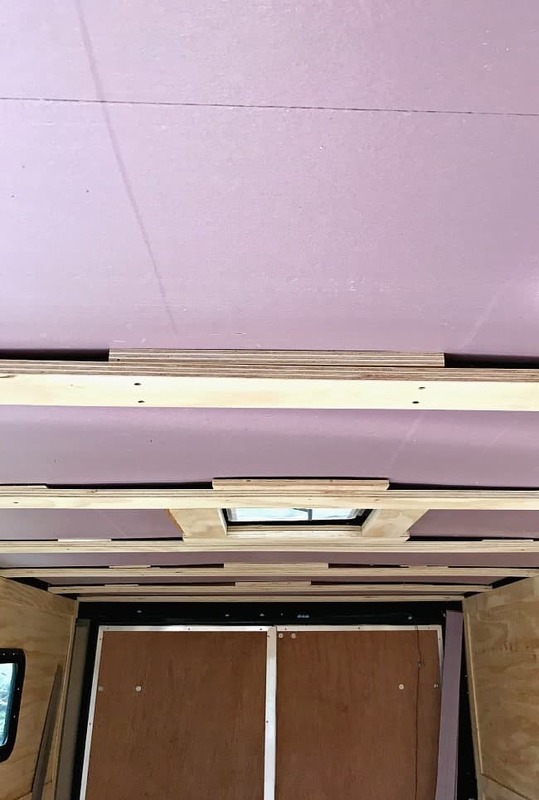 Tongue and groove ceiling installation in a tiny RV. I’m so excited to finally share an update on Minnie, our tiny RV. 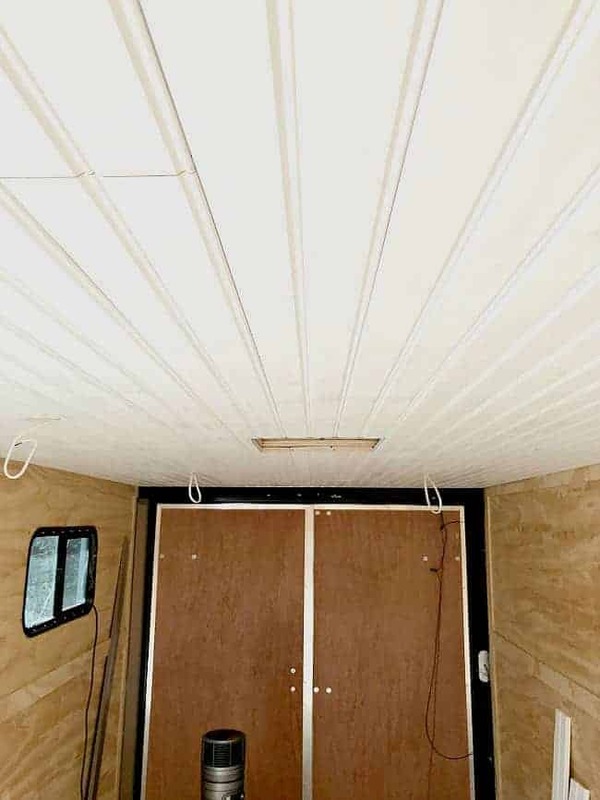 We’ve been hard at work since my last post on her and it’s time to reveal our first completed project…the wood tongue and groove plank ceiling. If you’ve followed us for awhile then you know that we planked our kitchen ceiling during a remodel a couple of years ago. 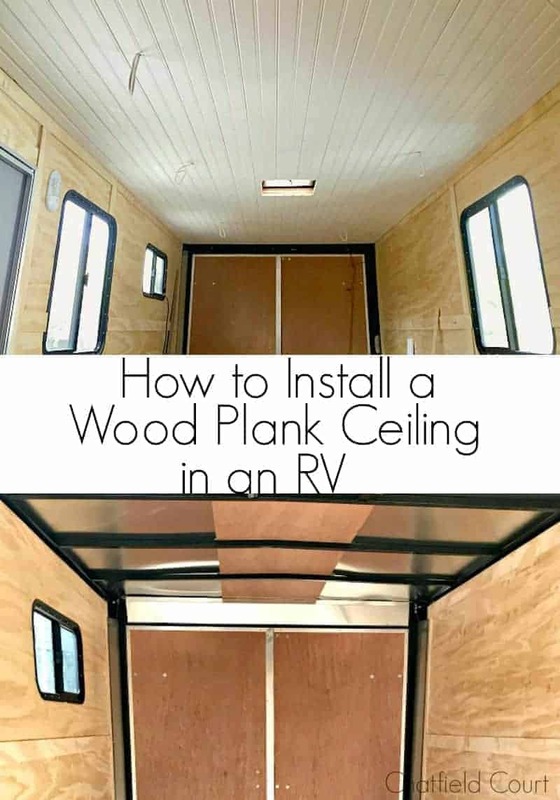 I loved the results and couldn’t wait to plank a ceiling it again. I thought we’d be doing it in our cottage kitchen but it happened in our RV, our tiny home away from home. That’s ok though, I still get to enjoy it and take it on the road when we travel. How many people can say that? We knew early on in the planning stages that we would do this kind of treatment on the ceiling. It needed something to warm up the space and this seemed like the best solution. This RV is actually a landscape trailer and was completely empty inside when we brought it home. Although it had wood walls, the ceiling was just metal and black beams. We used tongue and groove planks during the Illinois kitchen remodel so we stuck with what worked and used them again. I did a post a few years ago about where we found them. It’s one of my popular posts and I still get so many questions about it. I’m happy to say that you can still get them at Home Depot. I think they’re available in a lot of home improvement stores now but I really like the ones from *Home Depot. They were the same two-sided, primed tongue and groove planks that we used before. 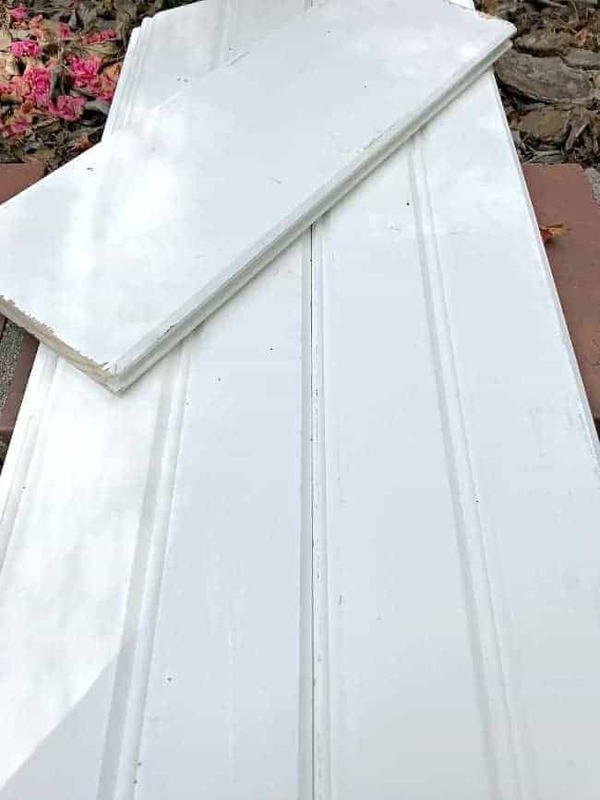 One side is plain and the other looks like beadboard. I used the plain side for the kitchen remodel and wanted to use it again but this time there was a big sticker on every plank. It was almost impossible to remove without damaging the wood so we went with the beadboard side. Not really what I wanted but it is what it is. Before we could install the wood planks we had to do some work on the ceiling. First we addd thin pieces of underlayment between the ceiling and the metal beams. The plan was to insulate the ceiling and strengthen the beams so that the planks had a good foundation. 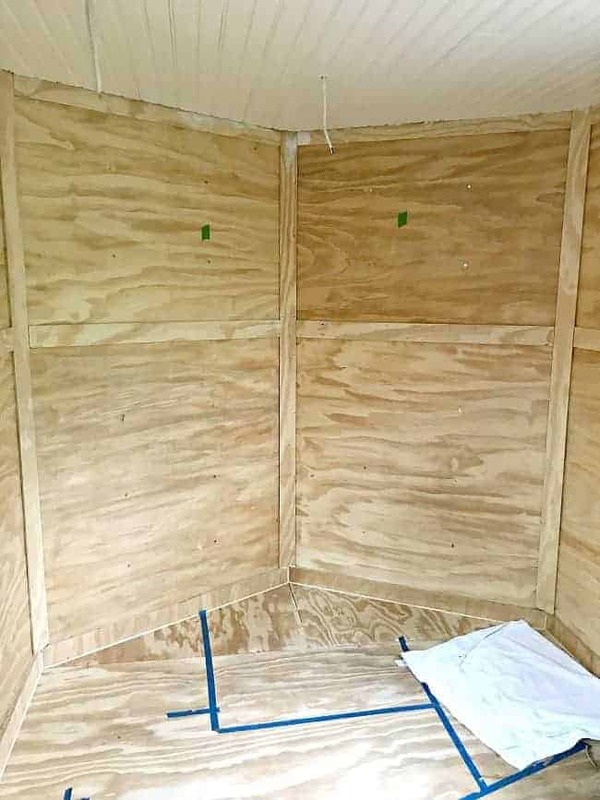 Next we added 1″ thick rigid insulation to help with sound, heat and cold. Then we added wood supports, as well as shims, across the beams to make the ceiling level and to attach our planks. 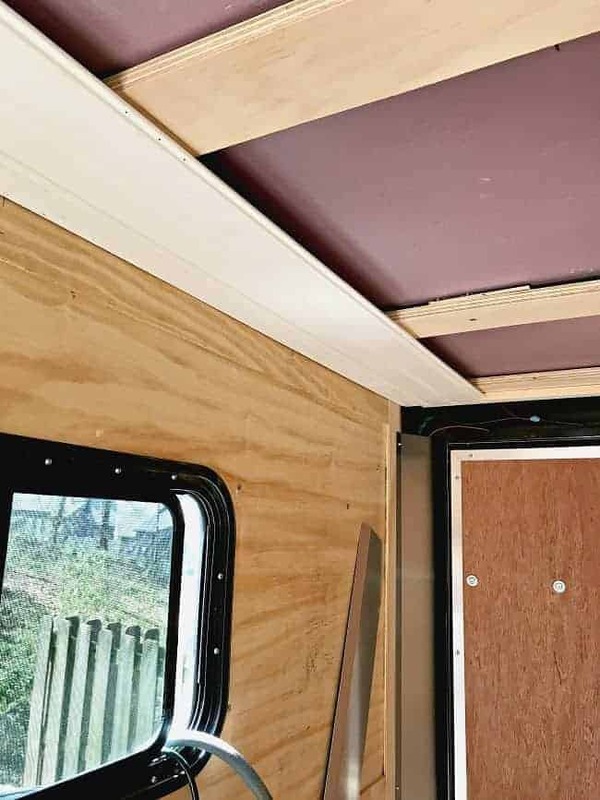 We took extra care to level the ceiling so that the tongue and groove planks fit snugly together. Once the insulation was up, the hubs added the wiring for the ceiling lights. We’ll have 6 flush-mount ceiling lights and a light over the kitchen sink. Finally we were ready to start installing the planks. The first one is always the hardest because it has to be level and straight. It took two tries, and a few choice words from the hubs, but we finally got it right. Our RV moves, obviously, so we have to always think about securing everything we build. We glued and nailed the planks as usual but we used screws whenever we could in inconspicuous spots. 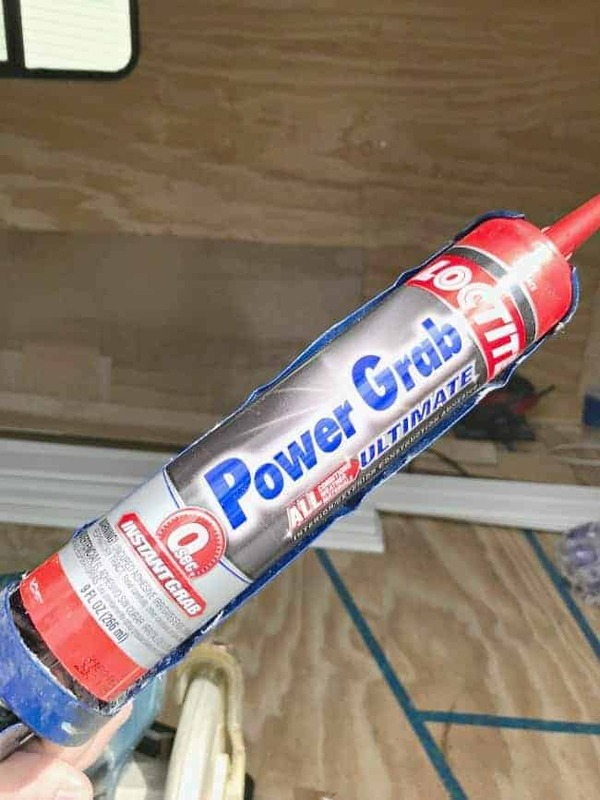 The construction adhesive we used is the bomb. We tested it before using it in the trailer and it held exceptionally well. Making sure the tongue and groove fit snug was difficult in some spots so we had to use a block of wood to hammer them in place. While we were putting up the planks we had to be aware of our light placement. We marked the location of the electrical wires before we started the install so we knew where each of the seven fixtures went. As we planked the spot where the light would be installed, we cut a hole in the plank and pulled the wire through. Once we got into a rhythm, the planks went up fairly quickly. Once we were done it was time to make it look pretty. I caulked the seams and got the ceiling ready for paint. I went with the same paint I used for the Illinois kitchen ceiling, Benjamin Moore Advance, White Dove, Satin. It’s my favorite paint, hand’s down. I can’t recommend it enough. I tried to roll it but brushing the paint looked better. Because we bought the pre-primed planks again, I was able to cover the ceiling with one coat. 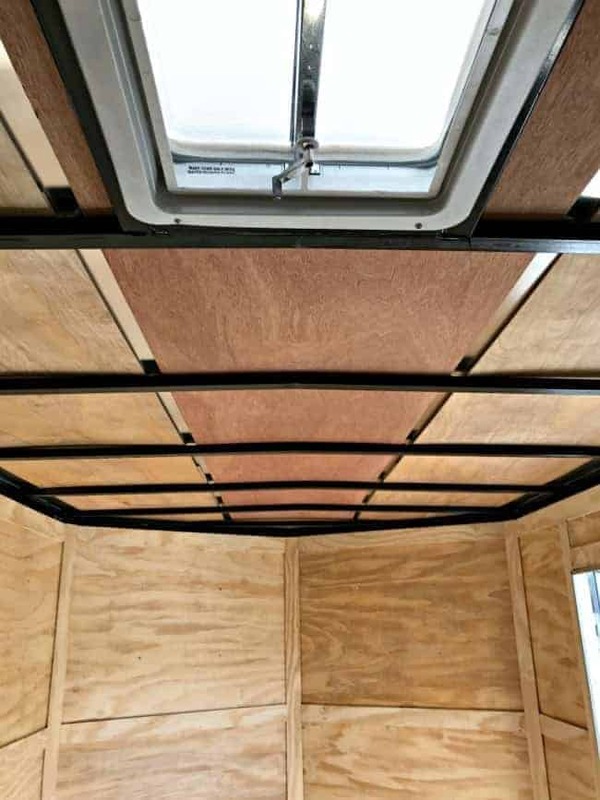 The primed planks do cost a little more but it’s so worth it when you’re twisted like a pretzel painting a ceiling. It’s not the prettiest reveal because nothing else is done, and we have electrical wires hanging down, but it looks so much better than before. Things are moving along quickly. They have to be because we’re taking her out for a test run in 3 short weeks. We won’t have her completely ready to live in, obviously, but we will have a bed to sleep in, lights and A/C (I hope). I’m hoping to share another update next week. The walls, lights and the bed should all be done. Fingers crossed. Don’t forget to follow me on Instagram. I share almost daily updates on the projects we’re working on in The Nest on my IG Stories. I’m even been hopping on to share Live stories once in a while. 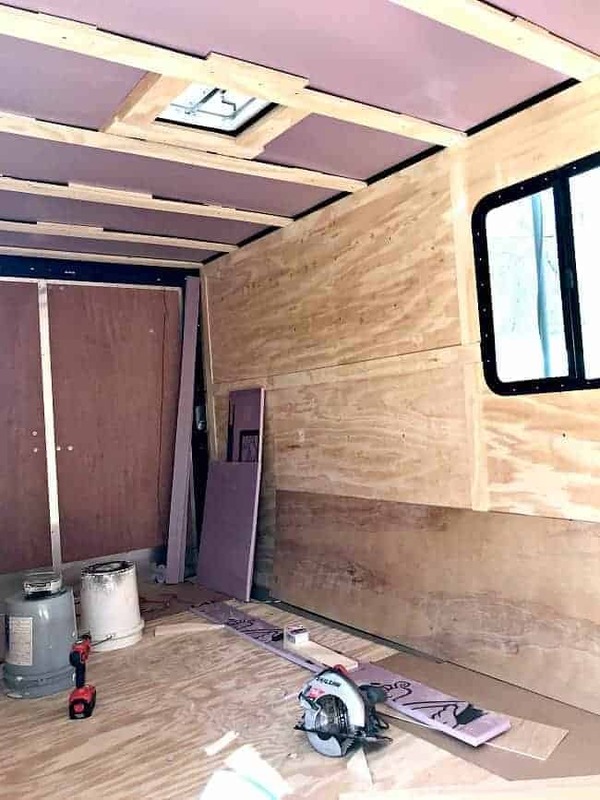 Make sure you check out all of the progress we’ve made in our RV renovation over the past few months. We’re sharing it all, including lots of before and during photos of all of our projects. Hi Mike! We checked the scrap pieces we have from our RV ceiling and it seemed like the tongue and groove would indeed line up. Of course, that’s just the pieces we had (which we bought at Home Depot). It might depend on where you get your planks. Hope that helps. Hi Kristi, Great post on the Nest’s ceiling! I really enjoy following the transformation, especially your IG stories. 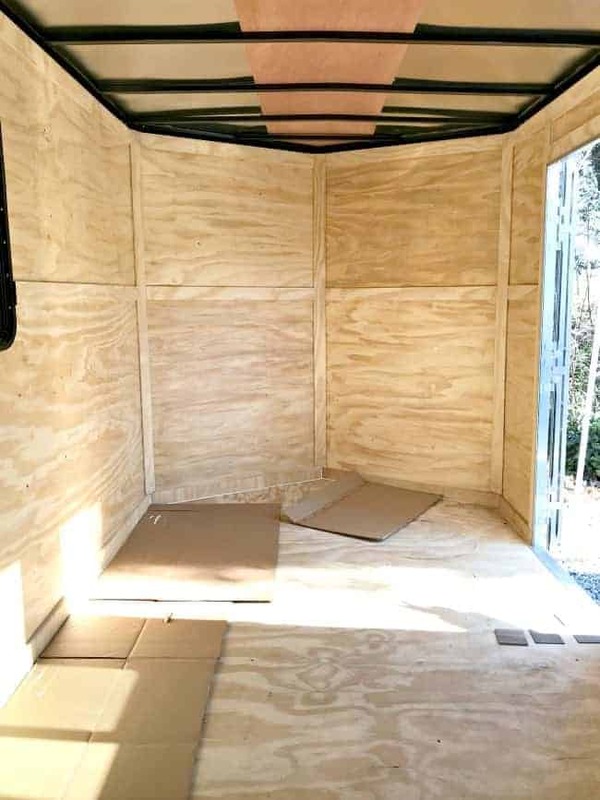 You two are going to have a such a beautiful retreat on wheels! Have a great day!!! Thanks so much Kaycee! We are having a blast fixing her up. Can’t wait to take her on the road at the end of the month for a trial run. Thanks for following along! It’s really starting to look like a home now, Kristi! It’s getting there. Slowly but surely. 😉 Thanks for stopping by and checking it out MJ! 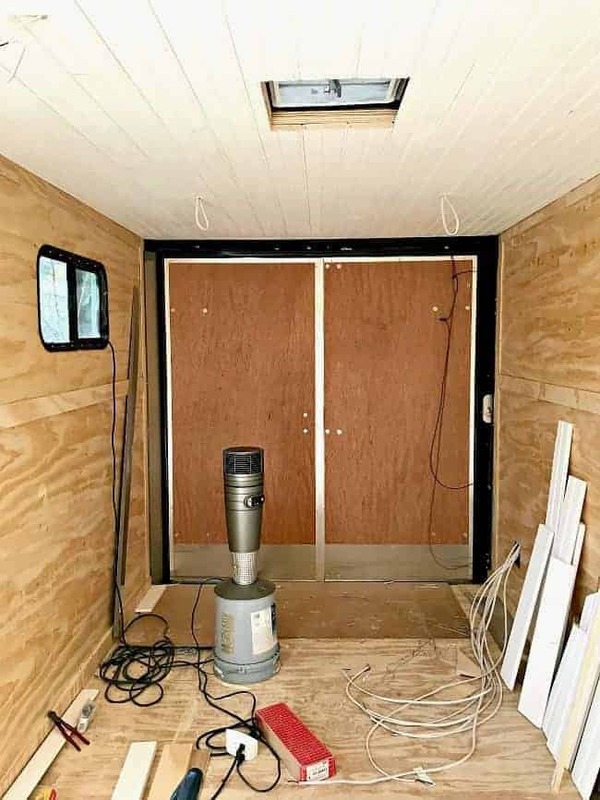 How much weight did that add to the RV? I’m not sure of the exact weight but it’s not that much. 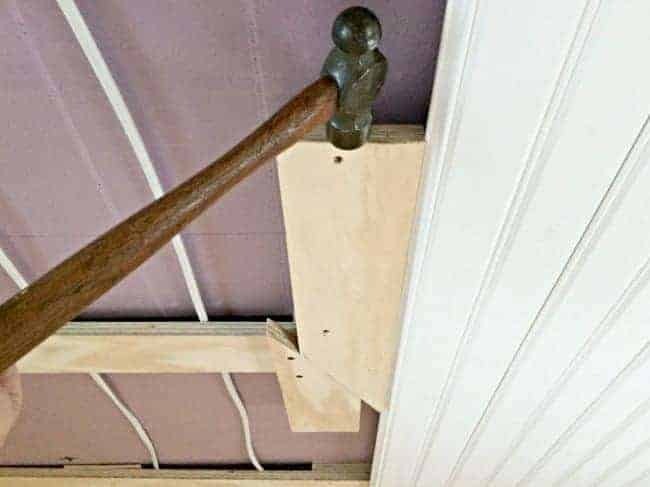 The only thing that would have added weight is the planks. We ended up using 25 planks total. The weight issue is a huge topic of discussion with every project that we do and we always try to consider that first. I know that when you are finished, this “nest” is going to be more amazing than I can imagine. You guys are an inspiration to everyone – and you seem to work well together, which is not always the case. 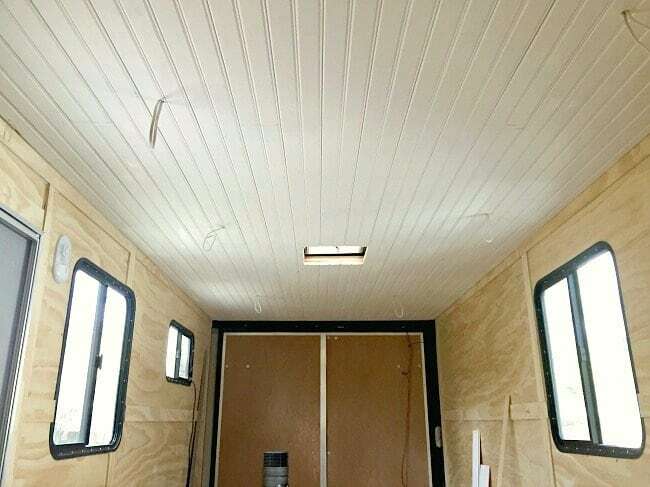 The ceiling looks great, and will be one of the projects that makes a huge difference in the total look. You amaze me. Great job on the ceiling. How do you work with your hands above your head? The nest will be so cozy, can’t wait to see everything finished. 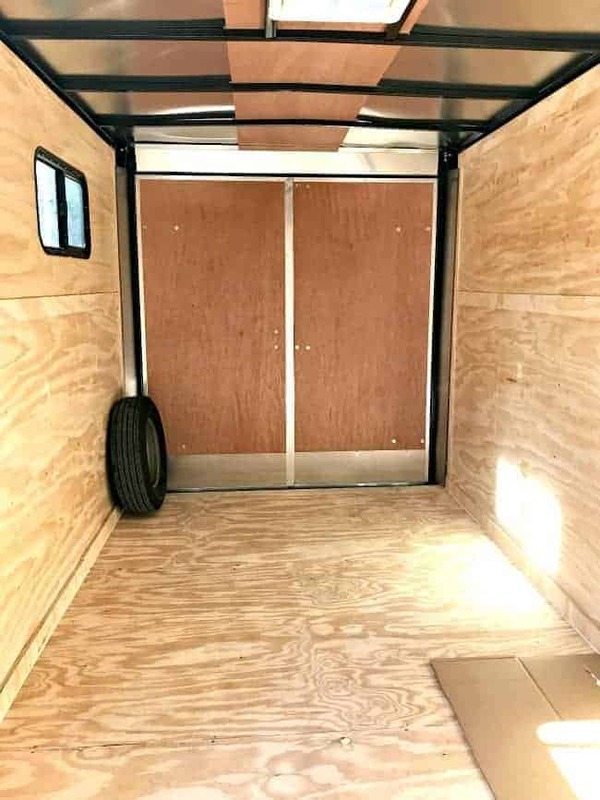 You are getting that trailer looking really nice for you to be able to travel in style. I know it is hard work but, you will certainly enjoy having it. It is hard work but we’re having fun trying to figure out how to do all we want in such a small space. 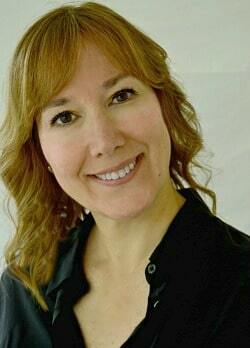 Thanks for stopping by Marlene!